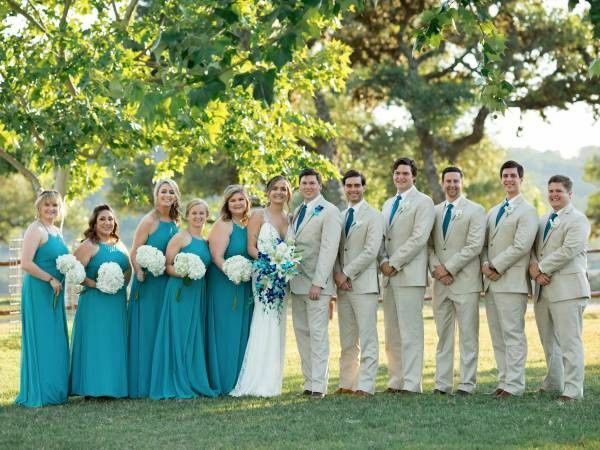 The Happy H Ranch is a religious ranch venue for couples’ weddings in the Comfort, Texas area. 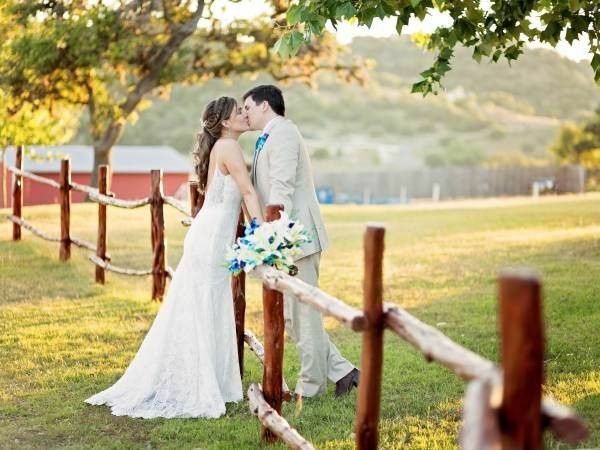 This ranch has plenty of open spaces, wooden fences, and big trees for a couple’s wedding day. Notable locations on this property include the Big Sky Chapel at Forgiveness Hill with the Cross on Forgiveness Hill, as well as Hitching Post Barn and Corral. 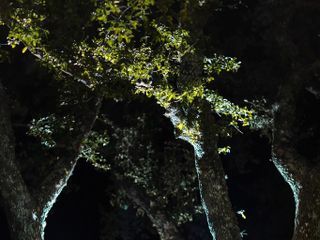 This venue is located approximately one hour outside of downtown San Antonio. 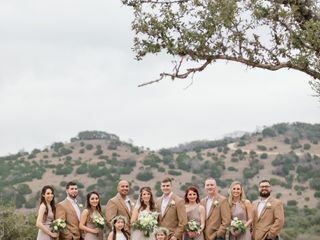 Couples can invite up to 500 guests to their wedding at the Happy H Ranch. 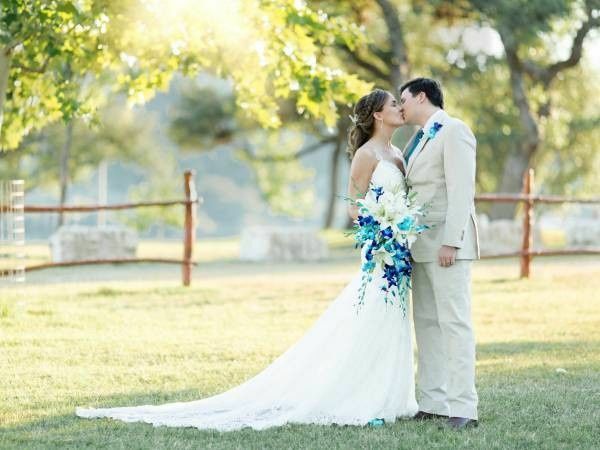 The open fields at this venue provide the perfect location for stunning wedding photographs or an outdoor ceremony. For couples who can’t choose, there is plenty of space at this ranch for both. 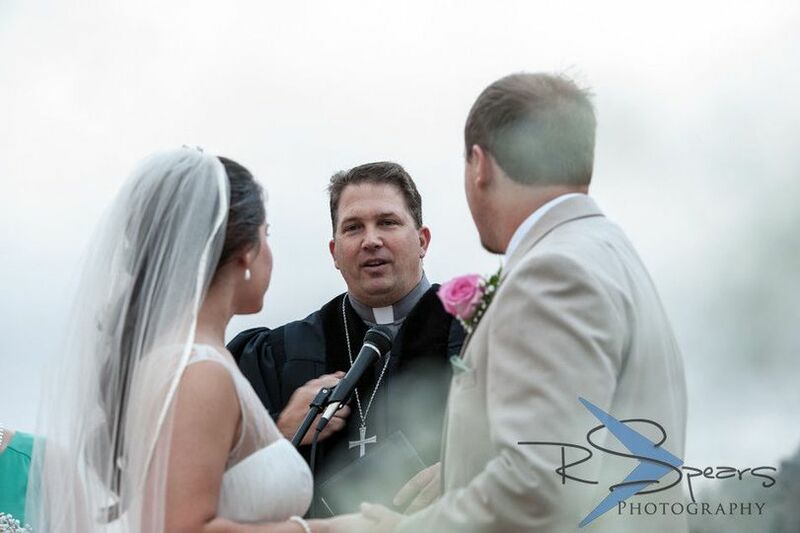 Couples who prefer an indoor ceremony can choose the Big Sky Chapel at Forgiveness Hill for their ceremony. 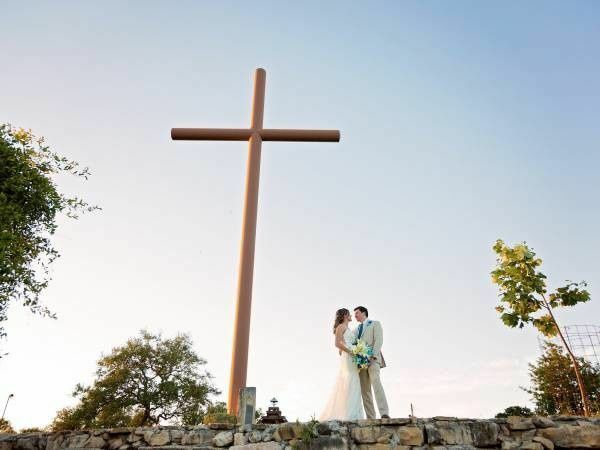 The tall wooden cross, known as the Cross on Forgiveness Hill, also makes a stunning backdrop for ceremonies and photographs. 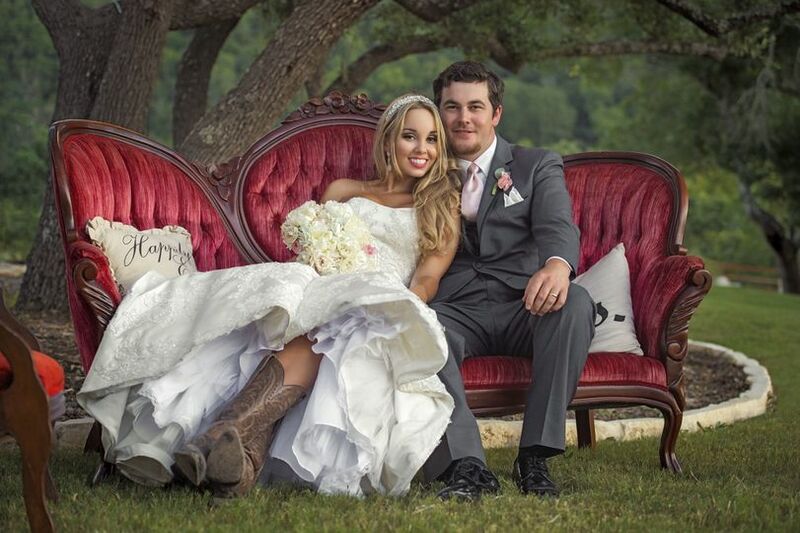 The barn is a natural choice for couples seeking a rustic reception venue. 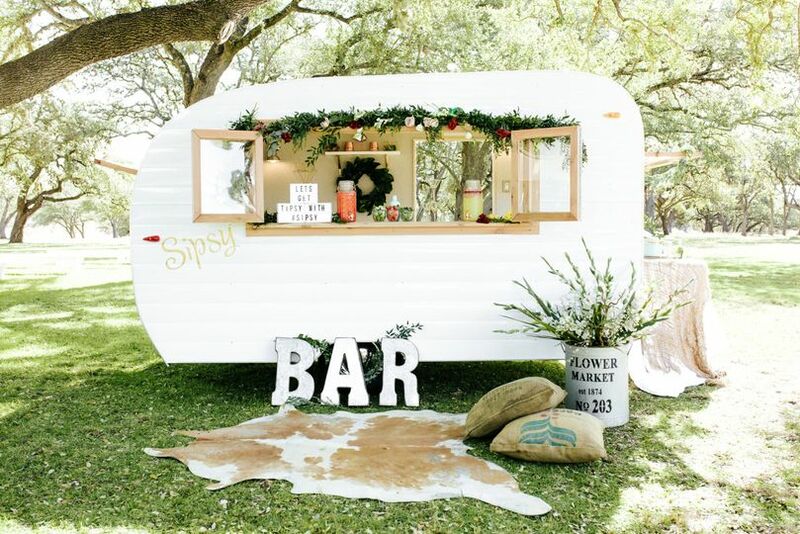 There is even an outdoor patio for cocktail hours or as space for guests to step out into the fresh Texan night air. 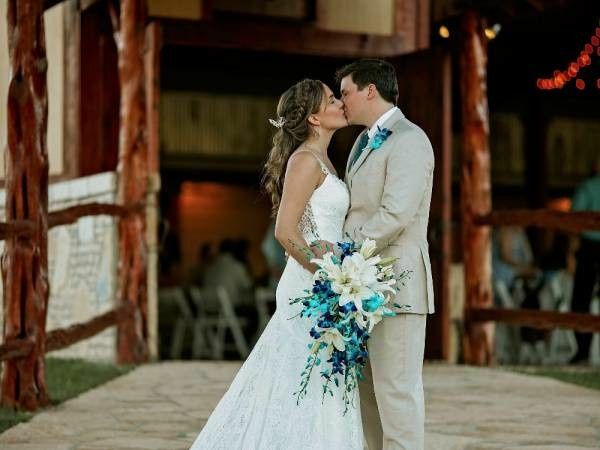 Couples will find help from the venue’s staff when planning their ceremony and reception at the Happy H Ranch. 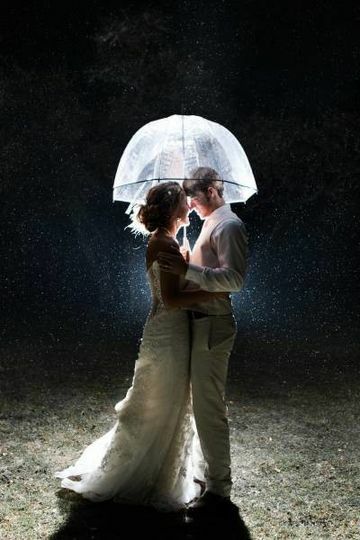 The knowledgeable staff at this venue help couples with event planning and setup. 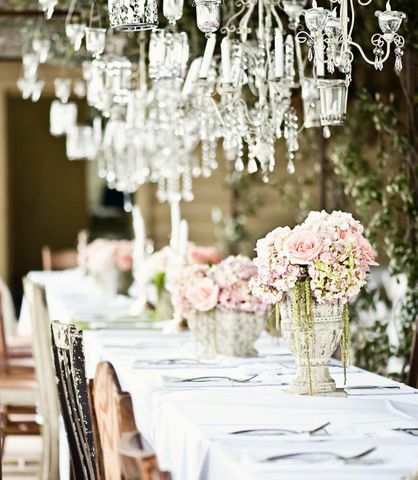 This means that couples don’t have to stress over the details on their big day. 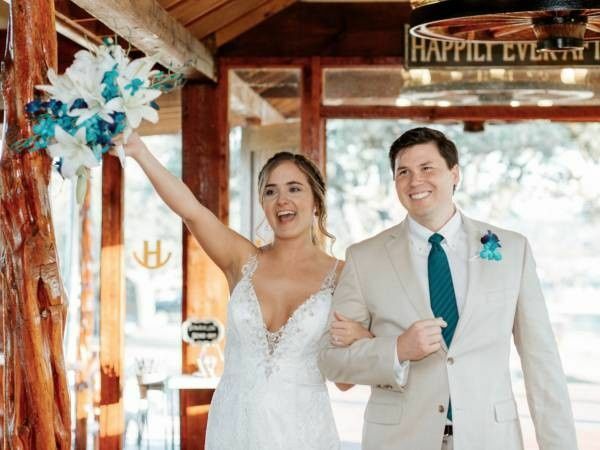 The employees helping couples with their wedding can even offer recommendations for outside vendors. When the wedding is over, the couple’s only worry will be how fast they can get home, as the staff worries about cleaning up. 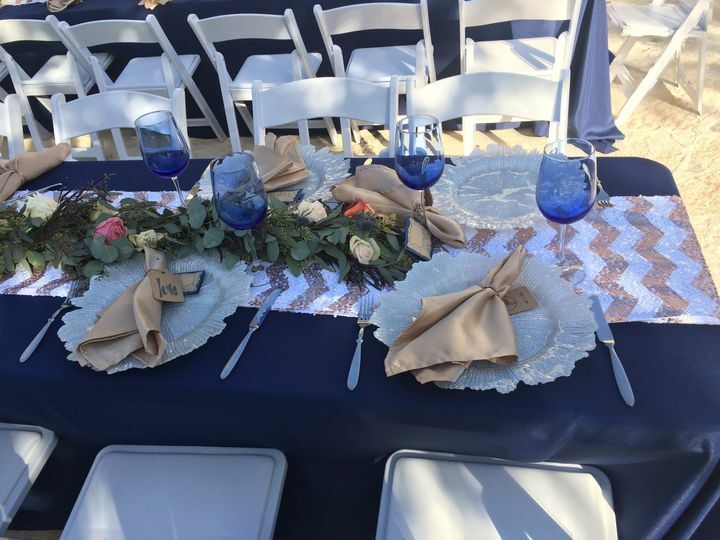 This venue also provides linens and onsite parking for a couple’s wedding celebration. 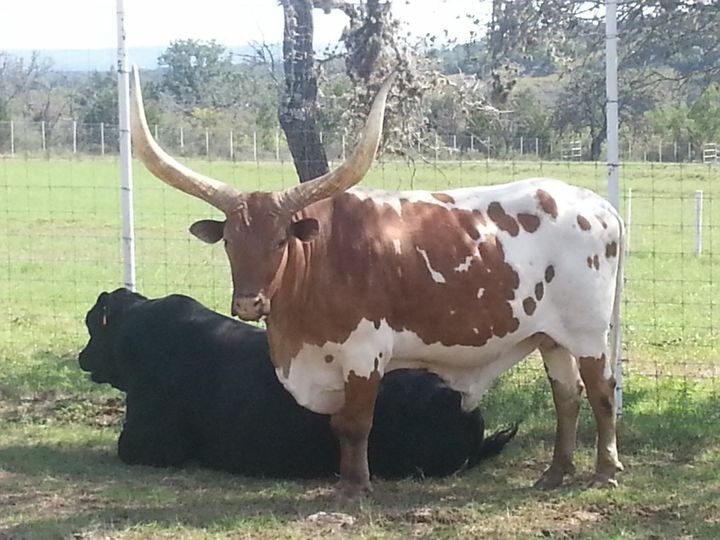 Happy H Ranch is one of the largest privately-owned ranches in Texas Hill Country. It was purchased in 1971 by the late Guy and Shirley Hughes. For a touch of excitement, Guy Hughes wanted exotic animals on this ranch, and settled on Longtussi and Angus cattle for his farm. The 75-foot-tall cross is a memorial to honor the memory of Guy Hughes. It was built in 2004. First off, we were so blessed to have found Happy H Ranch, everything about it was perfect.... beyond perfect! Both Bud and Julie Hughes were so kind and helpful through our whole process and helped us every step of the way. The scenery alone is breathtaking! It only took me about 3 minutes from walking through the venue to know that this was my dream venue to be married at. 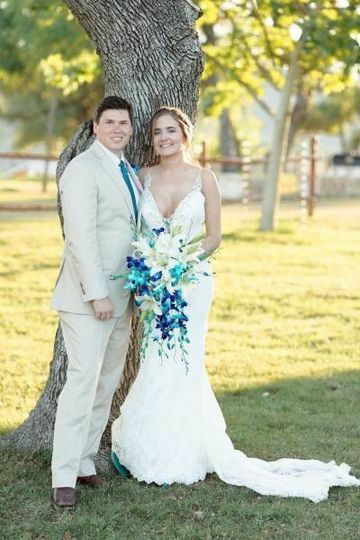 Everything was so perfect and so very memorable for our wedding thanks to Bud and Julie! Where do I begin! We were looking for a venue with a view, that was rustic, and more laid back. We found all of those things at Happy H Ranch! 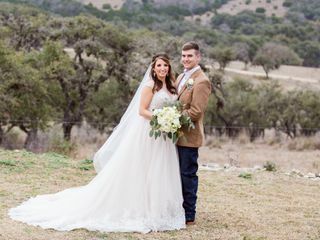 Bud and Julie, the owners at Happy H Ranch are simply just good people looking to provide a beautiful place for a wedding. Our guests were so amused with the view, animals, and the country feel the Happy H Provides. 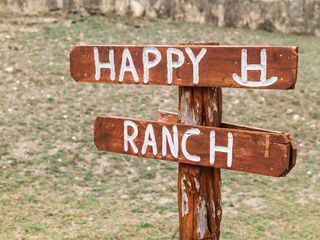 I 100% endorse the Happy H Ranch! 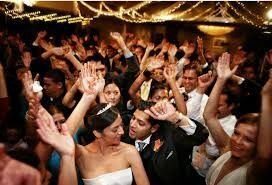 They provided us with a place where our happiest day took place. This venue is beautiful. My photos are breathtaking from the views of this place! Deer come up right to the side of the building where you can see them. Bud, Julie, Natalie, and Raleigh, help you to coordinate the entire event to make sure everything runs smoothly and do much of the set up like tables and chairs so you don't have to! The venue is one of that larger ones I have found which was great because I needed a place that allowed for a large dance floor for the grand march. Ill never forget how beautiful my wedding was here. Beautiful venue! Wonderful to work with. 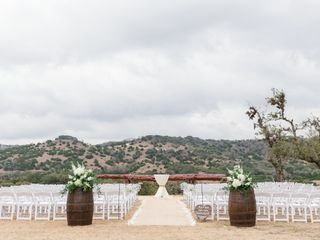 Happy H is one of the best event centers out there, Great people and wonderful hill country views. One of the most beautiful and scenic venues I have ever photographed. The hospitality is as amazing as the cross on the hill. They have put a lot of work into the facilities to make this an incredible wedding venue.